Wilhelm Filchner (13 September 1877 – 7 May 1957) was a German explorer. He travelled in the Pamir ranges, Tibet and the Antarctic. The Filchner-Ronne Ice Shelf in the Antarctic is named after him. At the age of 21, Filchner participated in his first expedition, which led him to Russia. Two years later, he travelled alone and on horseback through the Pamir Mountains, from Osh to Murgabh to the upper Wakhan to Tashkurgan and back. From 1903 to 1905 he led an expedition through China to Tibet. Following his return from Tibet, he was tasked with organizing a German expedition to map Antarctica. After a training expedition to Spitzbergen, they set off with their ship Deutschland on 4 May 1911. The expedition entered the Weddell Sea and discovered Luitpold Coast and the Filchner-Ronne Ice Shelf, which Filchner had originally named after the German emperor Wilhelm II. They were the first expedition to enter further into Weddell Sea than James Weddell some 80 years before. The ship overwintered in the pack ice after attempts to set up a base on the ice shelf had failed because of an iceberg calving. 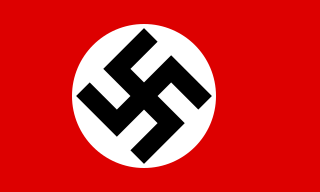 It was not until September 1912 that the Deutschland was free again and could return. 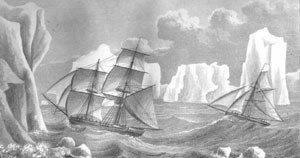 During its drift in the Weddell Sea ice Filchner investigated the existence of New South Greenland, an alleged coastline seen by Captain Bejamin Morrell in 1823, during a sealing voyage. He found no trace, and concluded that Morrell had seen a mirage. Filchner never returned to Antarctica, but went on many journeys through Nepal and Tibet, including a geographic survey of Nepal in 1939. He contracted malaria on the trip and while returning south, he was interned from 1940 in Patna in the Cottage-Hospital, from 1940 until 13 September 1941 in the Parole Camp in Purandhar and from September 1941 until November 1946 in the Parole Camp in Satara along with his daughter Erika. Later on he lived in Poona in the Maharashtra state of India. ^ Howgego, Raymond (2004). Encyclopedia of Exploration (Part 2: 1800 to 1850). Potts Point, NSW, Australia: Hordern House. ^ "Wilhelm Filchner 1877–1957". South-pole.com. Retrieved December 20, 2008. ^ Barr, William (2007). "Wilhelm Filchner". In Riffenburgh, Beau. Encyclopaedia of the Antarctic. Volume 1. Taylor & Francis. p. 394. Murphy, David Thomas. German Exploration of the Polar World: a History, 1870–1940. London, Great Britain and Lincoln, Nebraska: University of Nebraska Press, 2002. xiii, 273 p. ISBN 0-8032-3205-5. New Swabia is a cartographic name sometimes given to an area of Antarctica between 20°E and 10°W in Queen Maud Land, which is claimed as a Norwegian dependent territory under the Antarctic Treaty System. New Swabia was explored by Germany in early 1939 and named after that expedition's ship, Schwabenland, itself named after the German region of Swabia. West Antarctica, or Lesser Antarctica, one of the two major regions of Antarctica, is the part of that continent that lies within the Western Hemisphere, and includes the Antarctic Peninsula. It is separated from East Antarctica by the Transantarctic Mountains and is covered by the West Antarctic Ice Sheet. It lies between the Ross Sea, and the Weddell Sea. It may be considered a giant peninsula stretching from the South Pole towards the tip of South America. Luitpold Coast is that portion of the coast of Coats Land extending from the vicinity of Hayes Glacier, at 27°54′W, to 36°W, which is regarded as the eastern limit of the Filchner Ice Shelf. It was discovered by Wilhelm Filchner, leader of the Second German Antarctic Expedition, 1911–12, and named for Luitpold, Prince Regent of Bavaria. The Filchner Mountains are a group of mountains 11 km (7 mi) southwest of the Drygalski Mountains, at the western end of the Orvin Mountains of Queen Maud Land, Antarctica. They were discovered by the Third German Antarctic Expedition (1938–1939), led by Capt. Alfred Ritscher, and named for Wilhelm Filchner, leader of the German expedition to the Weddell Sea area in 1911–12. They were remapped from air photos taken by the Sixth Norwegian Antarctic Expedition, 1958–59. Alférez de Navío José María Sobral was an Argentine military scientist, Navy Sub-Lieutenant who rose to prominence by participating in the Swedish Antarctic Expedition (1901–1904) becoming the first Argentine to overwinter in Antarctica. Later he pursued studies at Uppsala University becoming the first Argentine to obtain a geology degree. Sobral worked briefly as ambassador to Norway in 1930 before returning to Argentina to work at YPF. The Weddell Gyre is one of the two gyres that exist within the Southern Ocean. The gyre is formed by interactions between the Antarctic Circumpolar Current and the Antarctic Continental Shelf. The gyre is located in the Weddell Sea, and rotates clockwise. South of the Antarctic Circumpolar Current (ACC) and spreading northeast from the Antarctic Peninsula, the gyre is an extended large cyclone. Where the northeastern end, ends at 30°E, which is marked by the southward turn of the ACC. The northern part of the gyre spreads over the Southern Scotia Sea and goes northward to the South Sandwich Arc. Axis of the gyre is over the southern flanks of the South Scotia, America-Antarctic, and Southwest Indian Ridges. In the southern part of the gyre, the westward return flow is about 66Sv, while in the northern rim current, there is an eastward flow of 61Sv. New South Greenland, sometimes known as Morrell's Land, was an appearance of land recorded by the American captain Benjamin Morrell of the schooner Wasp in March 1823, during a sealing and exploration voyage in the Weddell Sea area of Antarctica. Morrell provided precise coordinates and a description of a coastline which he claimed to have sailed along for more than 300 miles (480 km). Because the Weddell Sea area was so little visited and hard to navigate due to ice conditions, the alleged land was never properly investigated before its existence was emphatically disproved during Antarctic expeditions in the early 20th century. 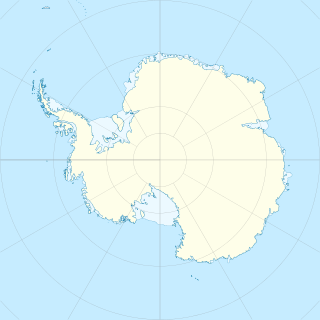 Queen Elizabeth Land is portion of mainland Antarctica named by the government of the United Kingdom and claimed as part of the British Antarctic Territory, which is the largest of the 14 British Overseas Territories. Situated south of Weddell Sea and between longitudes 20°W and 80°W, stretching from Filchner-Ronne Ice Shelf to the South Pole. That territory was unnamed until 2012, though most of it was unofficially known as Edith Ronne Land in 1947–68 and includes areas claimed by the United Kingdom, Chile and Argentina.